Wow, great post and wonderful pictures. Thanks for diving in first and saving me a little money on Korean matcha. I'd love to taste the matcha! You'd really send some? 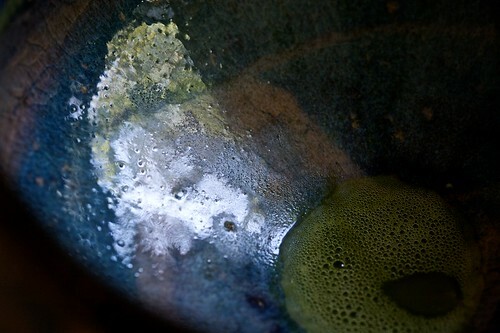 Ones experience with Korean matcha is not so good either. Really it is quite rare to stumble upon Korean matcha in teashops here. 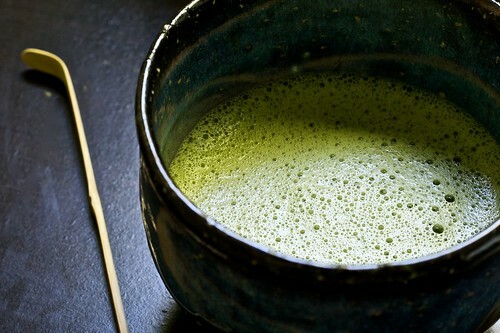 Korean tea masters firmly believe that Japan simply makes better matcha. So far ones experience can confirm this. 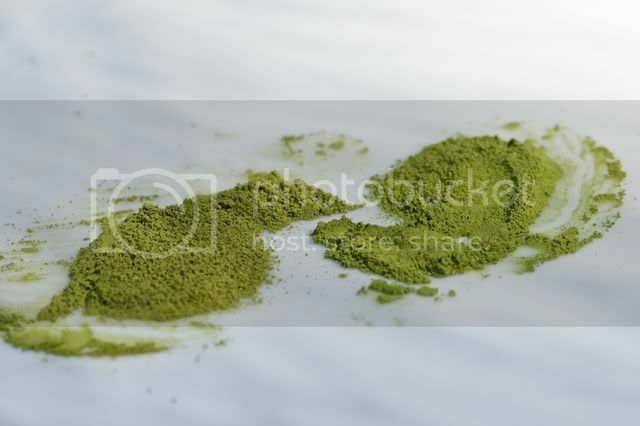 One Korean matcha consumed last year wasn't bad but apparently the powder was from Japan but produced by a Korean company. Go Figure. As always thanks for your thoughts on this tea. I love the yin yang pattern with the two matchas (I am envious of your megapixels). I would be glad to send you some. Just email me your address and I'll get it in the mail. Thanks for the information, though I am sad to hear that Korean matcha isn't that good. Oh well! Thank you for the compliment! I wasn't even trying to make a yin-yang pattern, it just kinda happened. 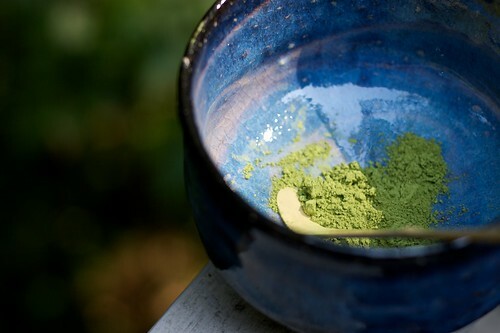 Seriously though, lose that Teavana matcha-- yikes! Have you tried stuff from Hangawi? I don't think they sell Matcha, but I can recommend their wild Korean green tea, which is also not easy to find in the states. Prices are high, but not completely insane (keep in mind that the actual quantity of tea is not the same as the shipping weight, so it's like 3 or 3.5 oz of tea, not 8). The first picked stuff is *very* mild, as well as very expensive... I think the second picked stuff is a better value. I've been meaning to visit the Korean tea shop here in LA... I'll see what I can find out (you might also PM chrl42 on teachat or teadrunk - he's Korean and can maybe hook you up with some interesting stuff if you're interested). No, I haven't tried anything from that company yet, but I will if I come across it. Thanks for the tips!